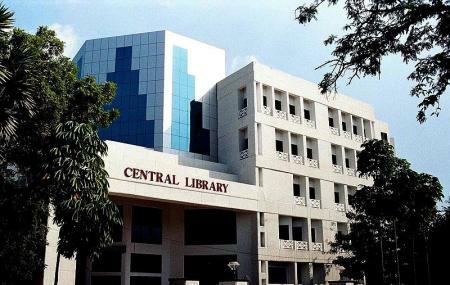 The most reputed of educational institutes of not just the nation, but the whole world, IIT Madras is a brand, a synonym to scholarly; IIT Madras is where the nation’s future flourishes. Now such a crucial educational institution must have some of the best campuses, and it sure does. One of the most tranquil places in the city, this campus is home to some of the most exquisite flora and fauna along with beautiful species of birds and animals. It is natural to spot a deer or two, along with some monkeys playing around. An evening here, with some strolling around basking in the natural beauty of the campus, followed by some grubs at the canteens here, is an evening well spent! Bear in mind, as you explore this place, you are doing so amidst scholar that are on their way to run the future. Also, visit the popular attractions in the city by following Chennai itinerary 1 day. How popular is I I T Madras? People normally club together T Nagar And Ranganathan Street and Ashtalakshmi Temple while planning their visit to I I T Madras. One of the best educational institutions in India. It was an awesome experience inside the campus. It was so nice to walk around the campus and it is good atmosphere to cycling. It’s clean and neatly kept everywhere. You can see the animals where walking around the campus. There are lots of tree for providing shade. It was one of my best experiences in there. A heaven in Chennai with history telling trees. I have gone four times here. Best natural spot with a great institution. one among the foremost institutes of national importance in higher technological education, basic and applied research. One of the worlds best research institute , I wish to pursue my masters here. Heaven for Research scholars. India's No 1 college for engineering. Very calm and green environments. You will feel very close to the nature. Faculties are very helpful and humble and their teaching is best class.